Hype! All over this one. Will report back. If you haven't yet, I highly recommend you all dig into John's bandcamp and youtube pages -- A treasure trove of great DIY music. Just discovered his "Vintage Electronics and Psychedelics" mixes and have been rinsing the hell out of them lately. edit: having a browse around the Bandcamp page. Definitely going to be dipping in properly when there's some spare £££ around. Edited by purlieu, 30 July 2018 - 02:02 PM. i plan on doing more podcast mixsets in the future, maybe a series on the history of techno and 80's underground cassette culture...but want to get more of my own stuff out first. 1st listen = This is some heavy hitting braindance right here. Somehow I listened through the new Bjarki and this in the same afternoon. What a trip (but my head hurts). just because they look cooler than the normal ones. How many volumes should we expect? 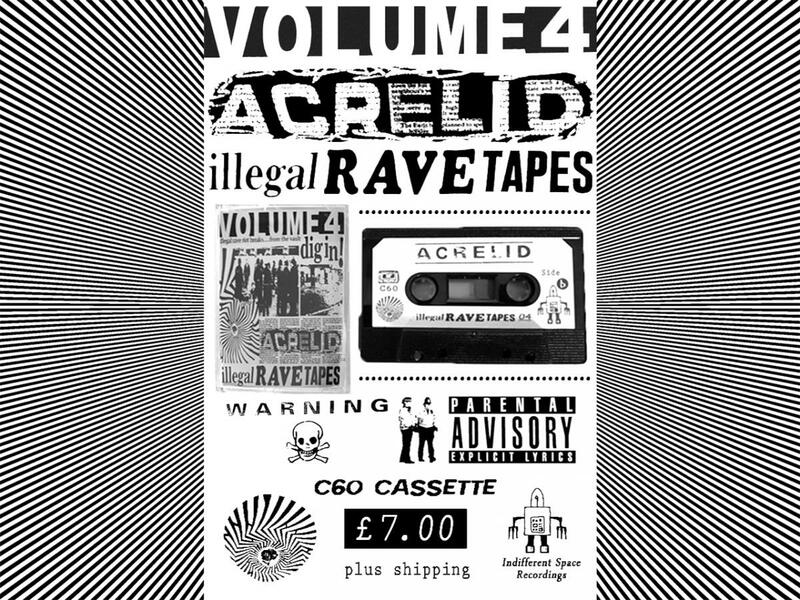 It's excellent that you include the labels, I have been streaming these a lot lately and was going to order the cassettes or CDs, but hearing about my kid making tapes of Bandcamp release after Bandcamp release, I'm remembering how much fun that can be and might have to just get the digital and make my own. 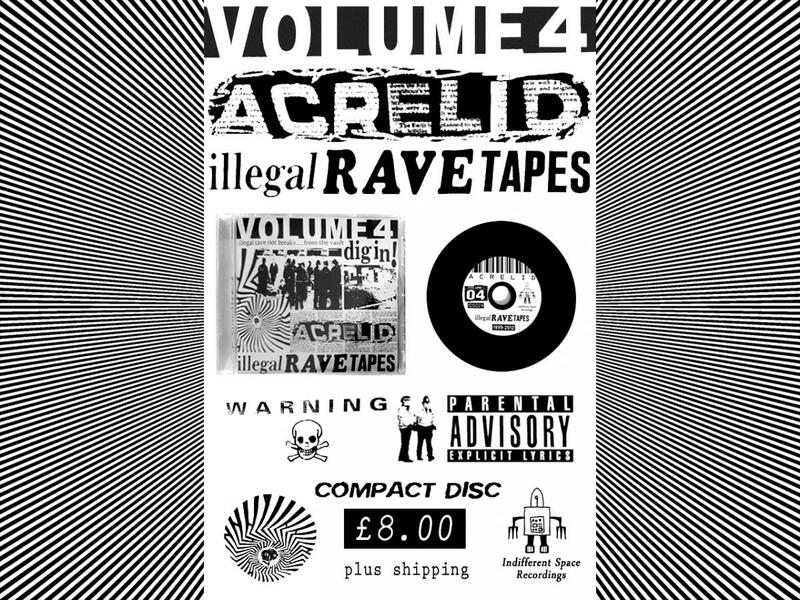 Love Illegal Rave #3 & 4, can't wait to dig into the rest! 4 might be my favorite so far. Good stuff. 2 has got some really awesome Caustic/Polygon vibes. Right up there with 4 imo. 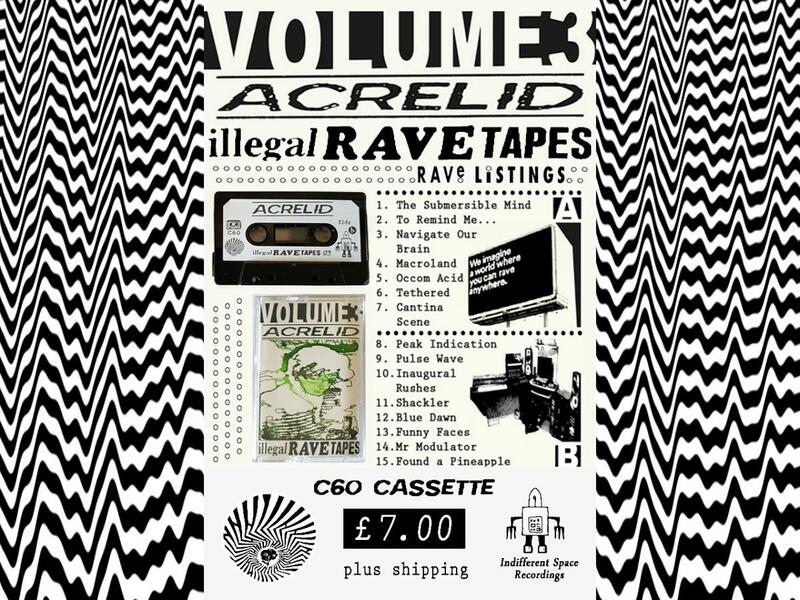 Just to let you guys know....I've rearranged the order of the next few volumes, so that the gabba/hard techno volume will be Volume 8 in the Illegal Rave Tapes series. 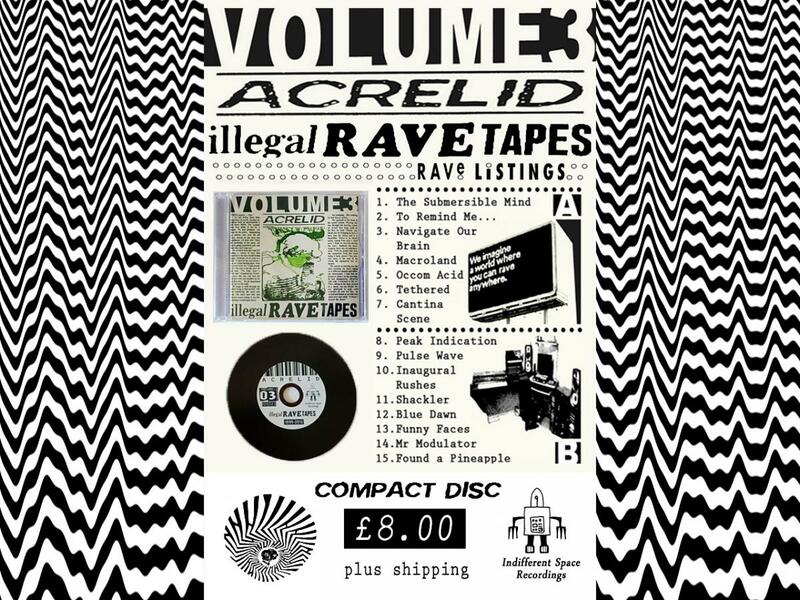 Volume 05 of the Illegal Rave Tapes should be out very soon and has a mid 90's Drum and Bass/Jungle vibe. The series will be capped off at 8 volumes, as i am thinking the majority of the rest of the material what was recorded in that period (1999-2012) is more chilled out/experimental and doesn't really fit the narrative of this series....so i might call that future series - The Post Rave Tapes, which is scheduled for release next year, hopefully. Can’t wait. Loving it all.